At Shepherd of the Hills you’ll find ways to connect with others. A lot of times it’s around food — we love to eat. Other times it may be around a quilt that’s being made to send to Lutheran World Relief, or lunches being packed for a local shelter. It may be connecting around a conversation in a small group or over Scripture. The ministries of the church reflect the passions and gifts of the people. There is always room for new ideas. Children and youth are welcomed in our life together at Shepherd of the Hills. We are dedicated to nurturing their faith as they grow into the fullness of Christ. Children are always invited to be in worship. A weekly puppet ministry helps engage them with the Bible reading. There is an area set up in the worship space for little ones. A nursery and another area in the narthex are also available for parents and their children. We’re also involved globally! A portion of our mission support goes to a non-profit agency caring for at-risk orphaned and vulnerable children in Songea, Tanzania. Our partnership with Lutheran World Relief — one of the most respected organizations around — is also a great way to make a difference. 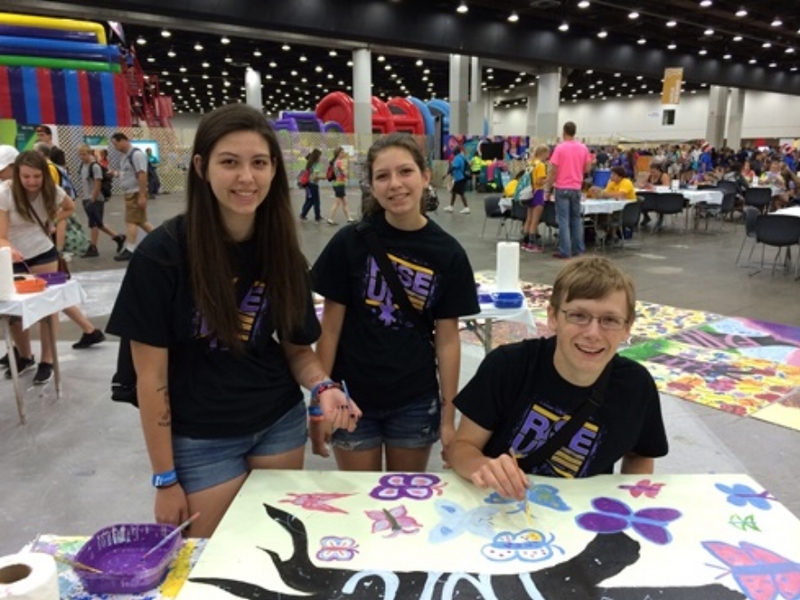 This ministry was started by a young girl in the parish who was diagnosed with sarcoma cancer when she was in middle school. A no-sew fleece blanket given to her by a neighbor brought her comfort and cheer during her treatments. She knew she wanted to make blankets for others once she was well. That young girl has now graduated from college and hundreds of blankets have been given to Seattle Children’s Hospital for sarcoma cancer patients. This ministry is called, “Hope in a Blanket.” The name captures the blessing these blankets bring to those who receive them as well as those who make them. 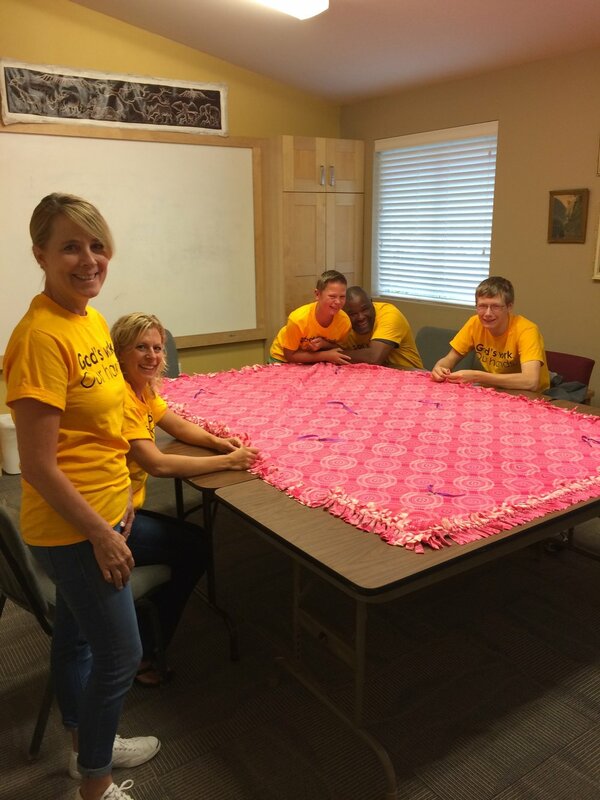 This ministry meets once a month to assemble quilts that are shipped to Lutheran World Relief for distribution to victims of disasters as well as to people in poverty-stricken or war-ravaged areas of the world. 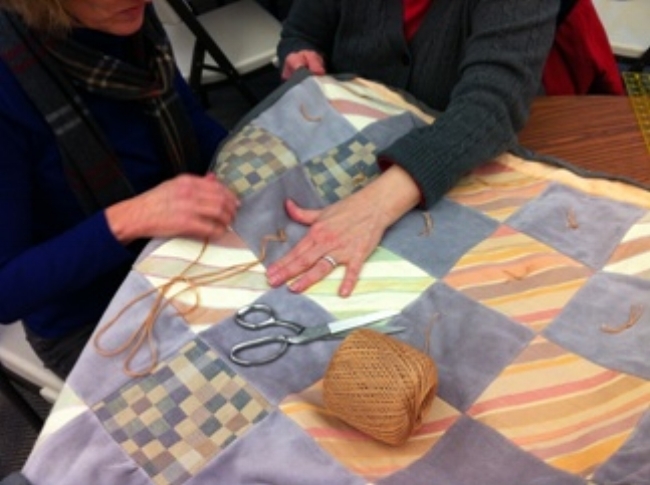 These quilts may also be given to hospital patients or inmates, providing their only linens. Every quilt carries a message that someone cares. Shepherd of the Hills has shipped hundreds of colorful quilts to LWR for distribution around the world. © 2017 Shepherd of the Hills Lutheran Church.